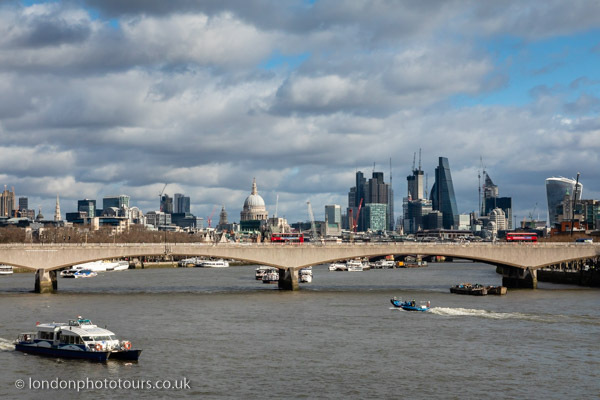 The South Bank Photography Tour is a premium photography tour which offers unrivalled opportunities for improving your travel photography skills. Situated in the lively cultural heart of London, the South Bank is full of vibe and energy. Learn how to use your digital camera to take the best photographs possible in the beautiful surroundings of the South Bank. This Photography Tour is great for both cityscapes complete with famous London landmarks including the London Eye, Westminster, Big Ben, views of St Paul’s Cathedral, and photos of people , entertainers and festival events. Whether you are a beginner or a more experienced photographer we will guide you to the best viewpoints to capture photographs you are proud of and will want to share with your family and friends. Lenses and zoom selection – which choice is correct. White Balance – adjusting colouration. Group review, the good and the great photos. Max 6 participants (scheduled tour).